Florida manatee, Trichechus manatus latirostris, a subspecies of the West Indian manatee, endangered. 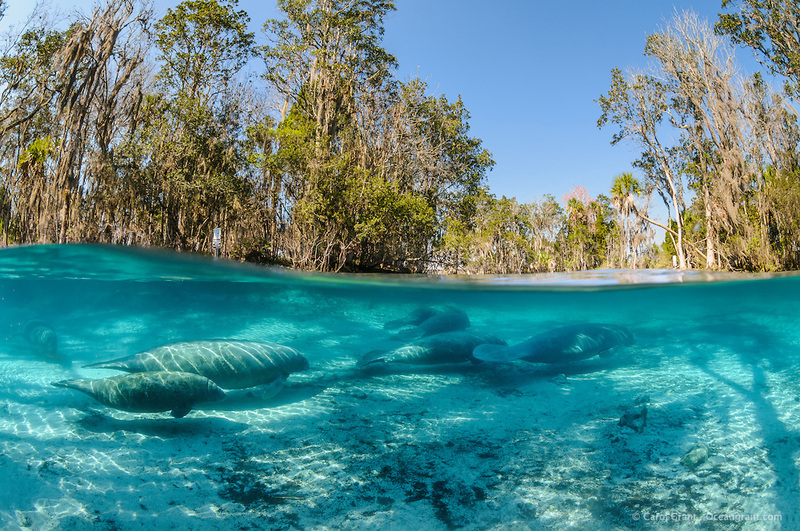 Seven manatee swim into the clear freshwater of Three Sisters Springs. The manatees know exactly where they want to go to claim their favorite spots in the warm waters of Crystal River National Wildlife Refuge, Kings Bay, Crystal River, Citrus County, Florida USA.